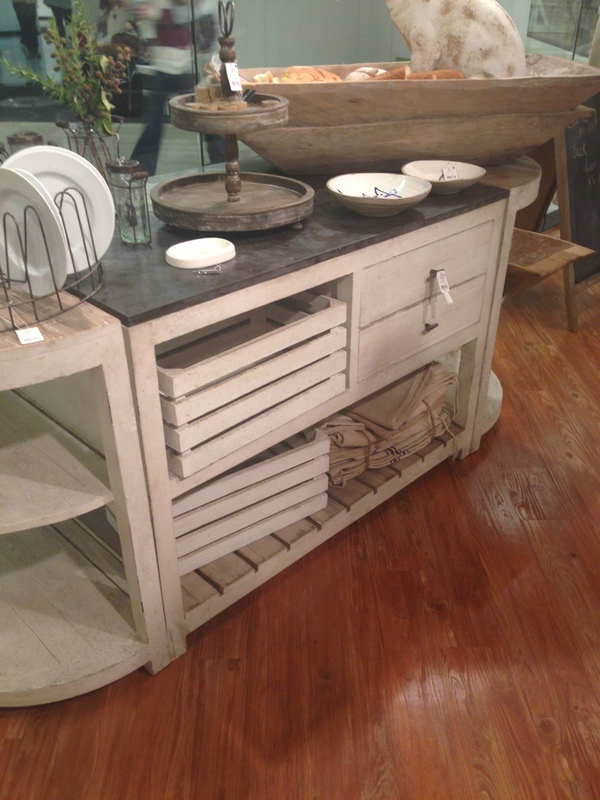 Sophisticated rustic, bold colors balanced by soothing neutrals, and products made from raw, basic materials were themes seen throughout 2015 Americas Mart Atlanta. From the first showroom we perused to the last, our creativity was stretched and our excitement grew to bring back our finds to show our team and clients. One of our first stops was the CBK Midwest showroom. We can’t wait to see the shipment arrive with all of the amazing furniture, accessories, pendants, and pillows we ordered! One of the reasons we love CBK is that they have a myriad of products in styles that can appeal to everyone with a variety of tastes. 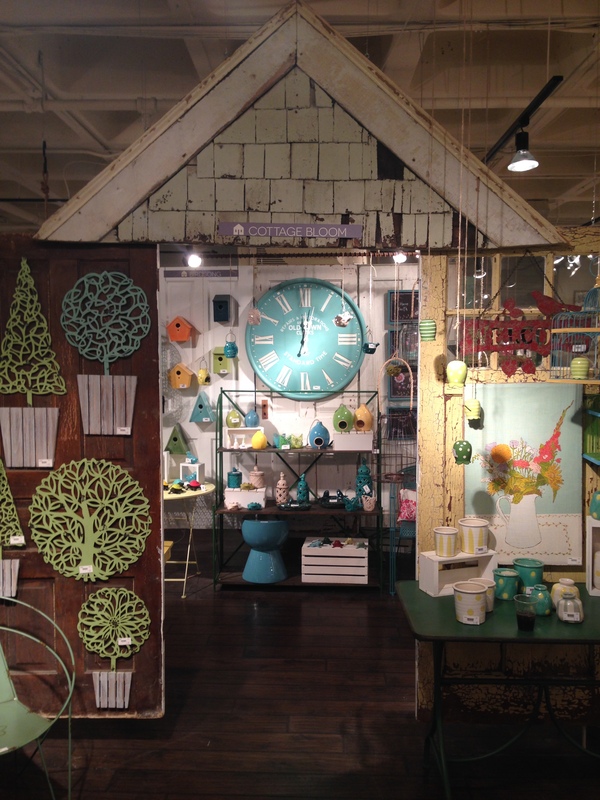 Here is a photo of a favorite display in the showroom in the garden/rustic section. Animals were a huge trend seen throughout the market and these pillows were some of our favorites that we couldn’t pass up. These will be so cute on display in our shop with our favorite CeCe Caldwell colors! 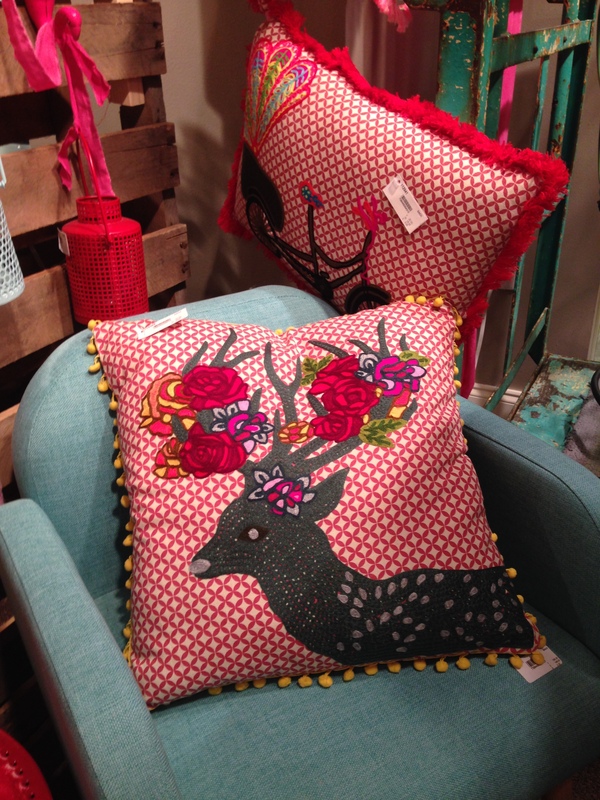 Another favorite find at market was the Creative Co-Op showroom! This showroom was filled to the brim with fun products that showcased the hottest trends beside classics that never go out of style. Handmade jewelry, artwork, slate coasters, antler heads, and a metal medicine cabinet are all on order and we expect them to arrive at the end of January. We are waiting anxiously to open the packages! Here is a piece we purchased that is a limited edition limestone top island. We fell in love with this as soon as we found it! 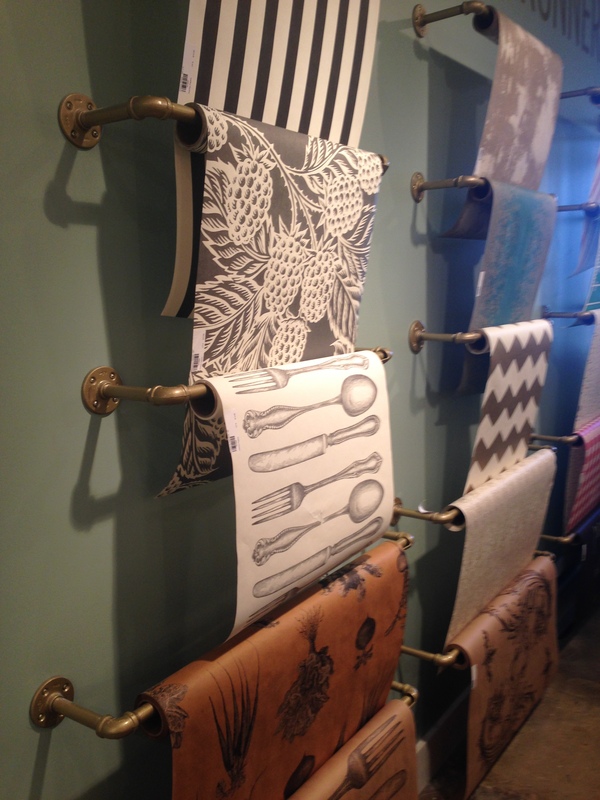 One of the last showrooms we visited on our last day at market showcased a gorgeous collection of posh kitchen papers, stationery, and unique wine bottle toppers. One of the products we look forward to carrying in the Vintage Shoppe at Designer Kitchens and More are the paper table runners and placemats, including the chalkboard paper version with special chalkboard pencils. This would be so fun for kid’s parties or weddings! We had so much fun during our market weekend and can’t wait until next year!